Wheeling away in celebration, Patrick Kluivert attempts to take his top off only to think better of it halfway through. It’s the 85th minute in the 1995 Champions League final and he’s just scored the goal that will make his hometown team, Ajax, European champions once again. He’s only 18, yet he finds himself the centre of attention on European football’s grandest stage. Nobody has since announced themselves so spectacularly to football fans the world over and not many have gone on to have the career he would enjoy. PATRICK STEPHAN KLUIVERT was born in Amsterdam in July 1976, as the third child of Kenneth and Lidwina Kluivert. 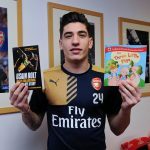 His dad was a football player and hailed from Suriname, a country in the former Dutch Antilles that has also got roots in other famed Dutch players such as Frank Rijkaard and Ruud Gullit. His Mother Ludwina was born in Curaçao, a small Caribbean island that was also a part of the Dutch Antilles until gaining autonomy in 2010. It wasn’t long before he had a ball at his feet, and it was soon clear he was going to be something special. After honing his skills playing on the streets and for local team Schellingwoude, Kluivert caught the attention of the notoriously hawk-eyed Ajax scouts and joined their famed academy at the age of just seven. The Ajax academy is famously fertile in its delivery of talent, and its unique methods play a huge part in that. Although he would go on to be a lethal striker, the rules that the Ajax academy go by dictate that every player will play in a number of positions on the pitch. It meant that Kluivert had spells all across the back four and midfield before he could finally settle up front. Ajax claim it sharpens the young players’ minds, but mainly, when the kids eventually get to the first team, helps them to play the Total Football style that Rinus Michels pioneered. As Kluivert got older he and the better academy players started to separate themselves from their lesser colleagues and, what was soon to become known by everybody, was just starting to become evident to the coaches: they had a golden generation on their hands. Edwin van der Sar, Edgar Davids, Clarence Seedorf, Mario Melchiot and Kluivert himself were all similar in age and were all hugely talented; together they would go on to form the spine of a team that would star in one of football’s more heart-warming stories. 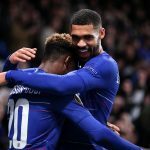 The only problem that usually hinders such talented young players from making a breakthrough into the first team is the stubbornness of the manager. In modern-day football, managers know that a run of bad results will see them sacked and so they rely on their usual lieutenants rather than risk blooding youngsters. Most do, but not Louis van Gaal. Van Gaal had no hesitation in playing young players if he thought they were talented enough, and Patrick Kluivert certainly was. Having made his way up the ladder, playing for all of Holland’s youth teams along the way, Kluivert had sufficiently impressed Van Gaal enough to be given his chance in the first team. Again, a manager will start a young player in games that are of little importance, away from the pressure cooker. A pre-season friendly, for example, or a game in one of the cups. 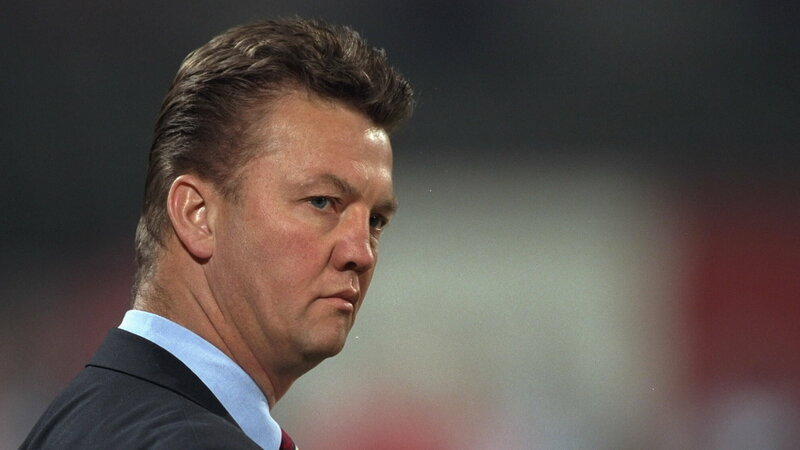 Again, not Van Gaal. At the age of 18, Kluivert found himself making his debut in the starting line-up in the Dutch Super Cup. The opponents? None other than fierce rivals Feyenoord. As a lifelong Ajax fan. this was something Kluivert had long dreamed about. And so, on 21 August 1994, Patrick Kluivert took the first steps in his professional career. The occasion would make the most experienced of players nervous, but it didn’t seem to faze him. In fact, he seemed to thrive on it, as did the whole Ajax team. They were two goals up within the first 20 minutes. In the 25th minute, Ajax broke through again. Finidi George led a magnificent charge down the right-hand side and, in the corner of their screens, television viewers saw a skinny teenager making the most intelligent of runs. Sprinting clear of his marker, it’s Kluivert. Finidi sees him and plays a perfectly weighted cross that Kluivert manages to deftly direct into the corner for a goal on debut. Arms outstretched, he simply basked in the glow of a surreal moment in what was already a surreal day. Watching youngsters from the academy prove that they are more than good enough to play for the first team is always a good feeling for the fans, and Kluivert was certainly talented enough to warrant a regular starting place. In the Eredivisie he would make 25 appearances over the course of the season, firing a team-high 18 goals to supplement a push for the title that was eventually successful. These statistics can make it easy to forget that this was an 18-year-old playing his first season as a professional. A charge to the Champions League final was a memorable bonus for the team. At the beginning of the European campaign, Ajax had made their debut in the new Champions League group stage. Although they were respected, they weren’t really seen as a major threat. Months later, the young team would be heading to Vienna with the chance of lifting the trophy for the fourth time, the fearlessness of youth seemingly propelling them into the spotlight. Having only scored one goal in Europe so far that season, Kluivert was left on the bench when the line-up’s for the final were announced. 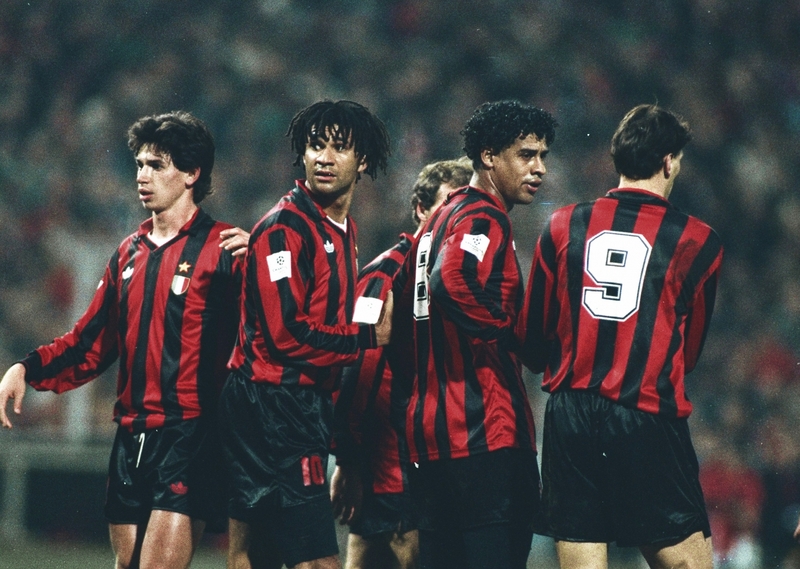 AC Milan made for fearsome opponents, but Kluivert was confident in himself. From his place on the bench, the youngster would have had an opportunity to assess where he could have success if brought on against the Rossoneri. Patiently he waited as the game unfolded in front of him. Jari Litmanen had started ahead of him but was struggling to break through the stereotypically solid Milan defence before Van Gaal thanked him for his perseverance and replaced him with Kluivert. It was the 70th minute when he strode onto the pitch. For the next 15 minutes he harried his opponents, closing down the space and trying to get himself into scoring positions before his moment finally arrived. The usually watertight Milan defence take their time to get back in line, and play Kluivert onside in the process. The move is played out with so much ease as Kluivert receives a pass just outside the box from Rijkaard, before turning towards goal. His two touches are both unconventional, yet just as the chance seems as if it is getting away from him he stabs the ball past Sebastiano Rossi in goal. It was the most rudimentary of finishes but it had won Ajax the trophy and completed what is still an unprecedented achievement both for him and for the team. At only 18 years 10 months and 23 days, he remains the youngest player to ever score in a European Cup final. When the final whistle went his was a heart-warming sight as, overcome by the emotion of the moment, he broke down into floods of tears on the pitch with the eyes of the world watching. When the team arrived at Amsterdam’s Schipol airport the youngster immediately sought out his waiting mother and gave her a huge hug right there on the tarmac. It was a moment for the whole family. Things were not to stay rosy for long though as four months after the European Cup final Kluivert caused a car crash that took the other driver’s life. That other driver was Marten Putman, a 56-year-old father of two and also a lifelong Ajax fan. He had left home in northern Amsterdam after having dinner when, whilst performing a u-turn, Kluivert’s BMW crashed into Putman’s door and killed him instantly. At the resulting court case, Kluivert was found to have had no alcohol in his system at the time of the crash leading the case to turn to speed, where it was found he was driving 55mph in a 35mph zone. He was found guilty and convicted of causing death by dangerous driving and ordered to perform 240 hours of community service as punishment. “Something inside me is broken, I can never be fully happy again. The child in me has been killed.” These were the words of Kluivert not long after the court case had finished. He had to put up with taunts of “murderer” at away games and had to deal with a bout of depression caused by his part in the accident that he found hard to overcome. The incident overshadowed a season in which he scored 15 goals in 28 games, was Ajax’s top scorer, and put in a majestic display against Real Madrid in the Champions League. For the second season in succession, Ajax made it to the final of the Champions League, but the game came too soon for Kluivert who had injured his knee in April and was still not fully fit to play a part, instead watching Ajax go down on penalties to Juventus. 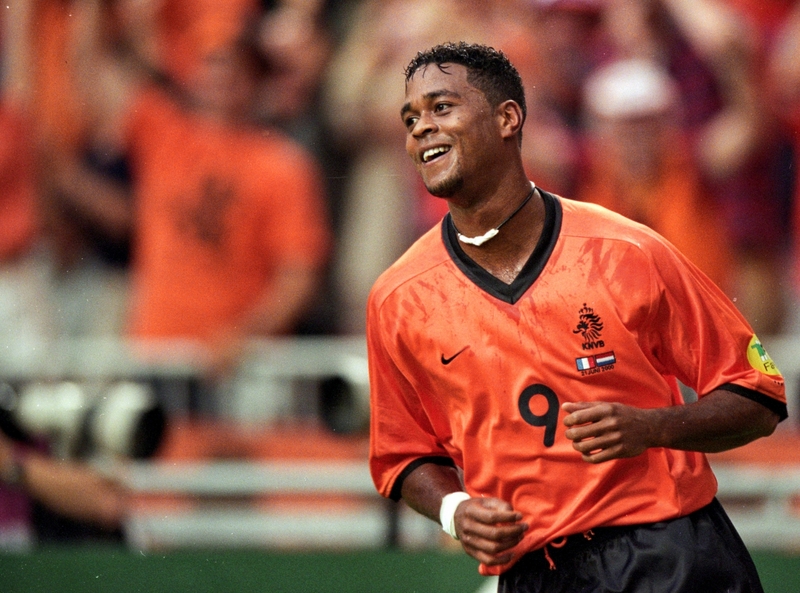 Having been a Holland international since making his debut in 1994, Kluivert was still chosen to play at Euro 96 despite his tumultuous year and despite worries about the same injury that had kept him out of the final against Juventus. Holland would indeed be without him as he worked to overcome his injury, and the team struggled. In the final group game against England and needing a goal, he was brought on as a substitute and scored, sending Holland through to the quarter-finals where they were beaten by France on penalties. By the start of the 1996/97 season, it was a badly kept secret that Kluivert had his heart set on a move to AC Milan. The car crash and the injuries of the previous season had managed to convince him that a fresh start was needed, and his good friend Davids was already plying his trade with the Rossoneri. This led to him declining the offer of a new contract from Ajax during a season in which he only played 17 times because of niggling injuries that were hard to shake off. At the end of the season he did indeed sign for AC Milan on a free transfer. The Italian club pictured him as the perfect replacement for fellow Dutch international Van Basten, whose void the club was still trying to fill after his premature injury-induced retirement. Kluivert’s signature came amid much fanfare and pundits generally saw it as a good move. Milan had the striker they believed would lead the line and bring them trophies for years to come, and Kluivert had got his fresh start at a club bigger than the one he was leaving. A fantastic goal against Juventus meant that things got off to a great start for him, but that was as good as it would get at the San Siro. By the end of the campaign he had a measly six goals from 27 appearances and had at times endured racist abuse from oppositions fans and a minority of Milan fans. It all meant that his time at Milan was to come to an end that summer. His reputation was still high in Holland despite his struggles in Italy and when the announcement of that summer’s World Cup squad came around, the name of Patrick Kluivert was included. The team that went to France 1998 was, on paper, one of the strongest the Dutch had ever sent, with players such as Van der Sar, Jaap Stam, Frank de Boer, Clarence Seedorf, Marc Overmars and Phillip Cocu providing quality to go with the star power the natural brilliance that Dennis Bergkamp and Kluivert brought. Yet, in his first game, Kluivert got himself sent off for stupidly elbowing a Belgian opponent. All the trust and faith placed in him looked like it had been misplaced. His next appearance in the tournament wouldn’t come until the quarter-final against Argentina. With trust to be won back, he went about things in the right way, opening the scoring in a game that will always be remembered for Dennis Bergkamp’s famous winner. In the semi-finals, the Dutch would come up against Brazil, the holders at the time, in Marseille. Having gone down to a Ronaldo goal in the 46th minute, the Dutch were chasing the game as it entered the final stages. When the ball reached Ronald de Boer on the right flank, he whipped in a dangerous looking cross that Kluivert managed to get on the end of to head powerfully in for the equaliser. Despite the outpouring of emotion he must have felt after the previous 24 months, he still managed one of the cooler celebrations of the World Cup, simply running to the corner flag and waiting for his teammates to engulf him. It was to be in vain, though, as the Dutch team were knocked out on penalties. Back on the club scene, having taken notice of the troubles his former protégé had endured in Italy, Louis van Gaal was ready to take Kluivert under his wing once again and give him the TLC that he needed. Now managing Barcelona, he authorised the spend of £8.75 million to get his man. In 1998 this was a significant transfer fee, especially for a player who was coming with baggage having not lived up to expectations at Milan. Kluivert was not fussed about the doubts and instead arrived ready for the 1998/99 season after his World Cup exploits. Already waiting to play alongside him was Rivaldo. The mercurial Brazilian had signed for Barcelona a year earlier and straight away, as if by magic, the Brazilian and Kluivert struck up an almost telepathic relationship. Kluivert also rediscovered his form under his wily old mentor and chipped into a successful defence of LaLiga with a healthy return of 16 goals from 38 games. The following season was also successful for Kluivert, but not Barcelona as a whole. His tally of 15 league goals made him the team’s highest scorer but the concept of a team was eroding all around him. The two most important people to him at Barcelona were at loggerheads. Rivaldo, his partner in crime on the pitch, and Van Gaal, his guiding hand off of it, were not seeing eye-to-eye, in a row that had started over the Brazilian’s playing position. The unsuccessful defence of the league title and the sour relationship with the team’s star player meant that Van Gaal departed at the end of the season. With the anticipation of a tournament on home soil for the first time raising the level of expectation on the Dutch team, Kluivert was called up to that summer’s European Championships. The time for a talented Dutch team, which still boasted many of the players from the World Cup, to finally deliver on their promise seemed to be then and there. After a quiet opening game against the Czech Republic that was only won with a last-minute penalty from Frank de Boer, Kluivert got himself on the scoresheet with the opener against Denmark in the second game before doing the same against France in what was an impressive 3-2 victory for Holland. It cemented a 100 percent record in the group stage. The Dutch team really began purring in the quarter-finals, and Kluivert was the one leading the charge. A hat-trick against Yugoslavia in a 6-1 win really made the nation believe that something special was happening. They were to come up against Italy in the semi-finals and, as they say, what will be will be. Having already seen Frank de Boer, the team’s usually reliable penalty taker, miss from the spot during the game, when the Dutch got a second penalty Kluivert took the bull by the horns and stepped up. In what can really only be described as an anomaly, he too missed and Holland had squandered not one, but two glorious chances. When the game went past extra time and into the lottery of a shootout, he would see the two Dutch penalty takers before him miss before he could convert his spot-kick in vain, as Italy scored their final one to march on to the final. If the loss didn’t hurt enough, the fact that Italy would be playing France, a team they had beaten in the group stage, must have rubbed salt into their wounds. Things wouldn’t really reach the heights he had managed to reach during Euro 2000 again for Patrick Kluivert in his career. The next four years in Barcelona yielded no trophies as the club was rocked by mismanagement and a series of spectacularly poor league campaigns as a result. 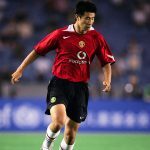 He regularly contributed with goals until he was moved on to Newcastle in 2004 where, despite scoring a healthy 13 league goals, the option for a second year in his contract wasn’t exercised. A brief spell at Valencia would follow before a return to Holland with PSV and then Lille, where he would hang up his boots for good. Since retiring he has taken numerous coaching positions in a bid to build up his knowledge of management. Rather than delving in at the deep end and taking a high-profile management job that a name like his would command, he’s instead decided to educate himself by taking numerous positions as a coach or assistant. At the 2014 World Cup he was one of Van Gaal’s assistants, which was quite fitting if you think of everything they have shared together, and for a brief time, he was the manager of Curaçao, the country of his mother’s birth. Nowadays, the name Kluivert lives on through his supremely gifted son, Justin.